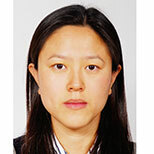 Dr Fang Duan is a Lecturer in School of Engineering as well as the Director of Intelligent Condition Monitoring and Asset Management Research Centre at London South Bank University. Fang Duan received a Bachelor’s degree in telecommunication engineering from Southwest Jiaotong University, Chengdu, China in 2005 and a Masters and PhD degree in electrical engineering from the University of Adelaide, Australia in 2008 and 2015 respectively. She is currently a Lecturer in the School of Engineering as well as the Director of Intelligent Condition Monitoring and Asset Management Research Centre at London South Bank University. Her research interests include condition monitoring, fault diagnosis and prognosis, parameter estimation, global optimisation and asset management. Fang’s experience in university teaching started in 2012 when she worked as a Teaching Assistant at University of Adelaide. Her role was to lead the tutorial classes, experiment and workshops. materials are prepared and discussed. Duan, F and Xiaochuan, L and Tariq, S and Ian, B and David, M Canonical Variable Analysis for Fault Detection, System Identification and Performance Estimation. Lecture Notes in Mechanical Engineering, 3. 247-257. Xiaochuan, L and Duan, F and Bennett, I and Mba, D Combining Canonical Variate Analysis, Probability Approach and Support Vector Regression for Failure Time Prediction. In: 2017 International Conference on Sensing, Diagnostics, Prognostics and Control, 16th - 18th August 2017, Shangai, China. Duan, F and Corsar, M and Zhou, L and Mba, D Using independent component analysis scheme for helicopter main gearbox bearing defect identification. In: 2017 IEEE International Conference on Prognostics and Health Management (ICPHM), 19th - 21st June 2017, Texas, USA. Zhou, L and Duan, F and Mba, D and Faris, E A comparative study of helicopter planetary bearing diagnosis with vibration and acoustic emission data. In: 2017 IEEE International Conference on Prognostics and Health Management (ICPHM), 19-21 June 2017, Dallas, TX, USA. Loukopoulos, P and Sampath, S and Plidis, P and Zolkiewski, G and Bennett, I and Duan, F and Sattar, TP and Mba, D Reciprocating compressor prognostics. In: CMSM 2017 7th International Congress Design and Modelling of Mechanical Systems, 27 - 29 March 2017, Hammamet, Tunisia.